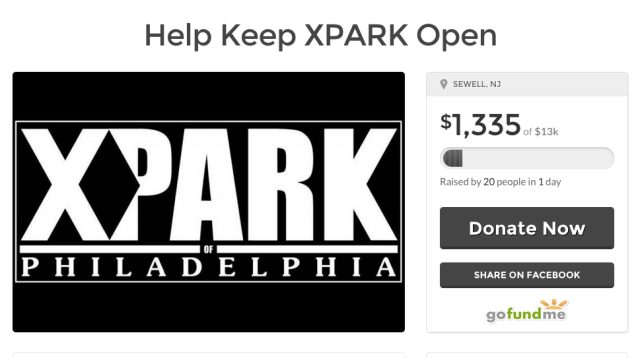 Black Diamond X-​​Park, pre­vi­ously known as X-​​Games Skatepark* and the Slippery Skatepark, at the Franklin Mills, I mean Philadelphia Mills Mall is try­ing to raise money to keep the park open. As of this post they’ve raised $1,335 of the 13K they are try­ing to raise. The lease is up and the land­lord wants a “sub­stan­tial secu­rity deposit down on the lease, and a sig­nif­i­cant chunk towards the insur­ance for the park”. I’m not sure what the exact break­down of that price is but they need o raise the money by the end of May in order for the park to remain open. 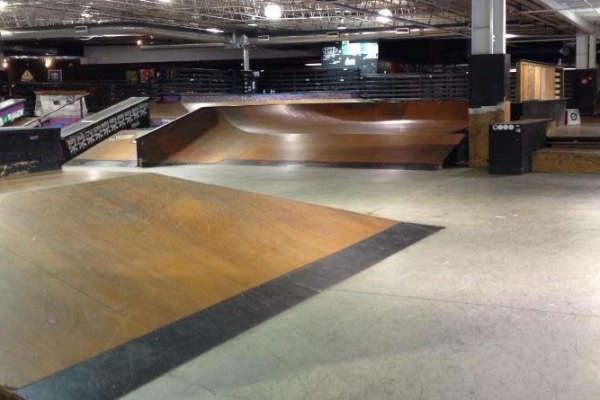 * I think it was orig­i­nally a Vans Park.